Soda is a gross gassy water that no one wants to swallow, but yet sometimes you’ve got to drink a big cup of it, and when that happens there are ways to make the ordeal slightly less unpleasant. 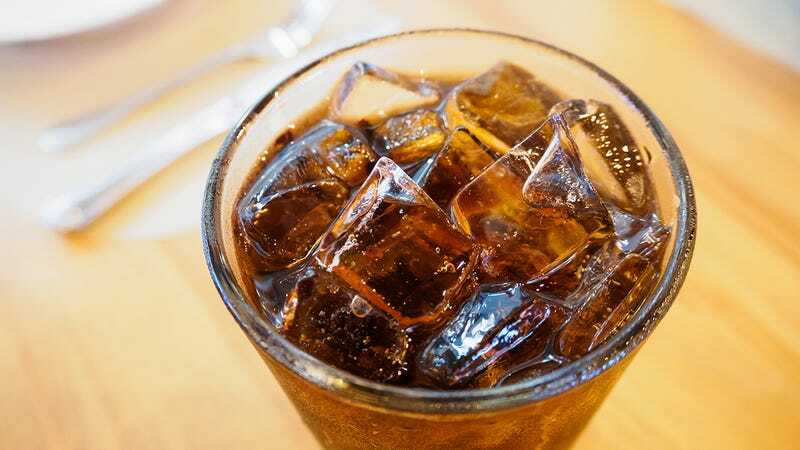 Here are six secrets you must learn in order to enjoy a big cup of soda. If your grandmother has poured you a 62-ounce cup of Pepsi and you don’t want to disappoint her by running away, try making your mouth into a cave and insert the soda into it like a swarm of bats. This technique was first developed by the ancient Romans, who used it to swallow glasses of mercury before battle. If it worked for mercury-guzzling Romans, it can help you swallow a Big Gulp of Sierra Mist. Human brains are stupider than you’d think, and sometimes all it takes to trick them into thinking the worst thing ever, soda, tastes good is an empty bottle that says “water” on it. While you’ll know it’s soda, your brain is stupid enough to be fooled by the replacement bottle. Try it out. The worst thing that can happen is you’ll barf up a bunch of blood. The mind may be super stupid, but it’s also super powerful. Mental exercises such as meditation and freestyle rapping can create the mental fortitude to do anything, even enjoying a soda. As long as you set aside at least two months to properly meditate on the singular task of drinking a soda, your mind will be prepared to suffer through the agonizing task of guzzling down a big cup of soda without forcing you to become insane. While this method is untested and highly dangerous, odds are that it works. There’s just something about the taste of maps that makes everything better. Even soda. My 2-Month-Old Son Won’t Stop Demanding Soda In A Grown Man’s Voice. Does Anyone Have Any Advice? It’s Beautiful. And It’s All For Her.